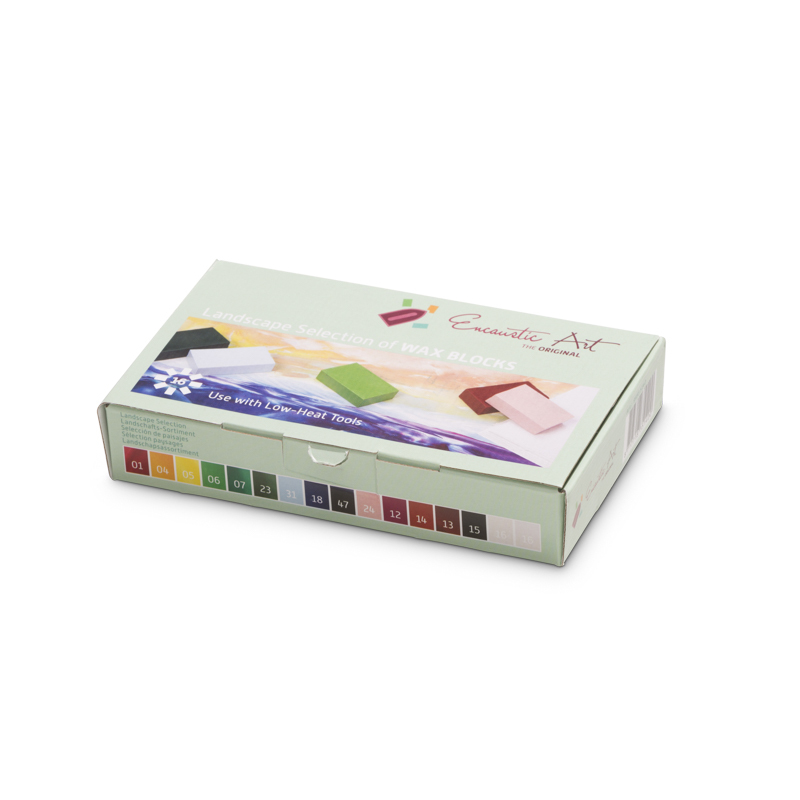 The Landscape selection of 16 wax block colours is especially good for the title subject matter – landscapes. Plenty of white for the base sky colour, then blues, greens, browns and a more than adequate collection of brighter colours. 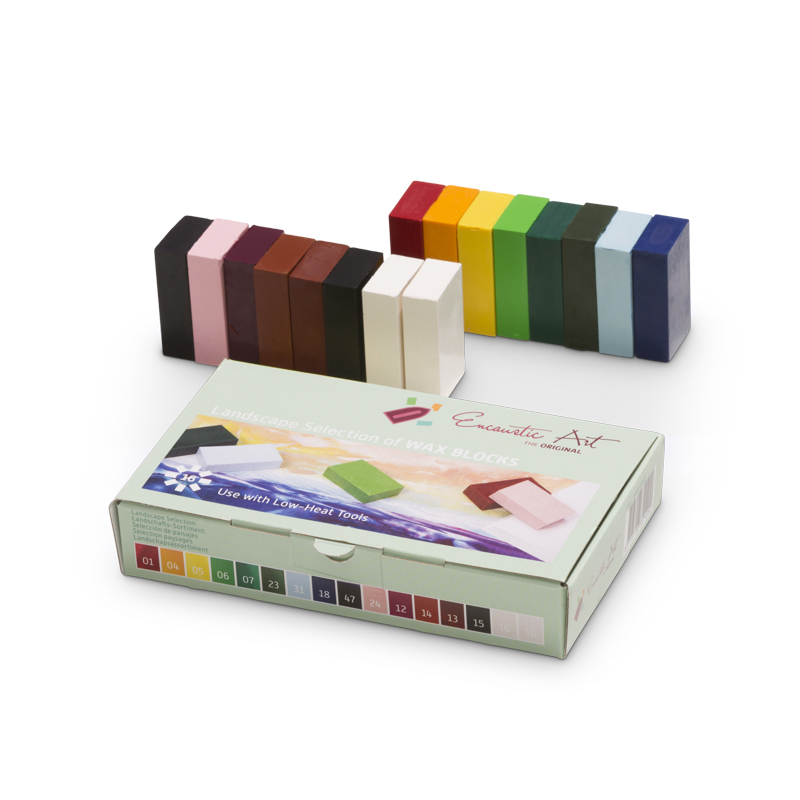 If landscape is what you want to create then this is a good starting palette. 01 Crimson, 04 Golden Yellow, 05 Lemon Yellow, 06 Leaf Green, 07 Green, 23 Olive Green, 31 Pastel Blue, 18 Prussian Blue, 47 Indigo, 24 Pink, 12 Red Violet, 14 Yellow Brown, 13 Red Brown, 15 Black, 16 White, 16 White.